Let's face it, US$ 3,000 – 5,000 is not a lot of money – especially as the relative strength of the US dollar continues to fall in much of the world. And so it is inspiring, if not miraculous, what many of the Rising Voices projects have been able to accomplish with so few resources. Rising Voices microgrants provide just enough funding to allow grantees to purchase some digital cameras, rent workshop space, cover transportation costs, and provide participants with ‘coupons’ to cyber-cafes so that they can access their blogs and upload the podcasts and videos they create. The latest update from the Blogging the Dream project in Romania gives some insight into the first steps taken by many Rising Voices grantees as they prepare for their citizen media outreach. Many of these projects have become so successful that they are now attracting the interest of more local community members who want to learn how to communicate effectively online. In order to continue their training workshops and outreach activities, they have had to come up with creative strategies for financial sustainability. One of the first fundraising activities came from Voces Bolivianas, a citizen media outreach initiative in Bolivia which has successfully trained dozens of new bloggers across the country, most recently at the Bloguivianos conference in El Alto and La Paz. In July, with the help of two members based in El Alto, Voces Bolivianas produced a number of laptop sleeves from traditional aguayo textile and sold the sleeves for $25 each on their website using PayPal. 100% of the proceeds went toward Voces Bolivianas activities. They have sold out of the sleeves, but if you are interested in purchasing one in the future, you can leave a comment on their blog post and specify your desired dimensions using Survey Monkey. The municipal government of Medellín, Colombia has recently received much attention and applause for reversing its violent history and reputation and becoming a Latin American model of urban inclusion and creativity. In addition to its ambitious network of ‘library parks’ and its metro system with gondola-like carriages which reach up into the city's hillside working class neighborhoods, the city government has also poured in resources to promote ‘e-culture‘ in both working-class and upper-class parts of the city. Much of the city government's thinking about the internet as a tool to promote inclusion, however, was stuck in the 1990's and dependent on platforms provided by corporate sponsors like Microsoft. The ambitious young leaders of the HiperBarrio project have invested a great deal of time in reaching out to the municipal government in order to explain how tools like blogging, podcasting, and online video allow communities on the margins to gain valuable technical skills and media literacy while enabling them to write their own online history. Acknowledging the importance of the HiperBarrio project, the local government provided funding which allowed the HiperBarrio bloggers to attend Campus Party in Bogotá, one of Latin America's pre-eminent technology conferences. Hopefully the Medellín municipal government will continue to recognize the importance of grassroots new media projects like HiperBarrio and provide official support and recognition. 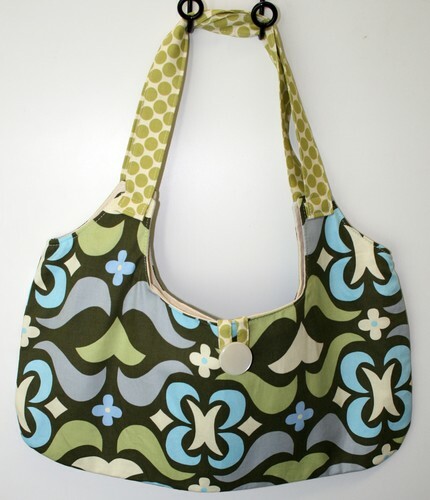 As Kristina writes on her blog, a portion of all bag sales from her Etsy page will be donated to Foko Madagascar to provide more cyber-cafe coupons to its members so that they can continue to access their blogs. Foko Madagascar has also managed to publish some of their bloggers’ posts in a local English-language publication which provided payment in order to re-publish the articles. These are two innovative ways to achieve sustainability. On the latest post from the Nari Jibon group blog, Bangladesh from our View, Sujan explains how Nari Jibon provides Bangladeshi women with skills rather than money in order to provide more opportunities. As little as $17 covers an entire Microsoft Office training program including four cyber-cafe passes. Donors like Marc Fest based in Miami, USA have already supported Nari Jibon's training activities by donating online. Kalam, the organization behind the Neighbourhood Diaries project in Kolkata, India which trains young people in marginalized communities how to become citizen journalists, has released a PDF version of their annual Open Box of Poetry which is available for a suggested donation of US$5. All proceeds will go toward continuing Kalam's outreach work in Kolkata. Special thanks to Romina Oliverio for purchasing the e-book and promoting it on her blog. These are just a few ways that Rising Voices grantees are seeking sustainability as they continue to train more and more bloggers from under-represented communities around the developing world. What about you? Do you have any ideas for how citizen media outreach projects can continue to fund their operations? Great job, I can’t believe the types of projects that are coming out of these grants. Small micro-grants are perhaps the best thing for achieving a sustainable product in many poor countries. They just need a little seed money and a boost, and they can create amazing products that have a need in the wider world – all from local materials using local skills and knowledge. Very inspiring. I also know that Kathy B.Ward sometimes host mini-fundraiser shows in Illinois for the Narijibon’s project. I hope she comes by here to tell us more about this idea.